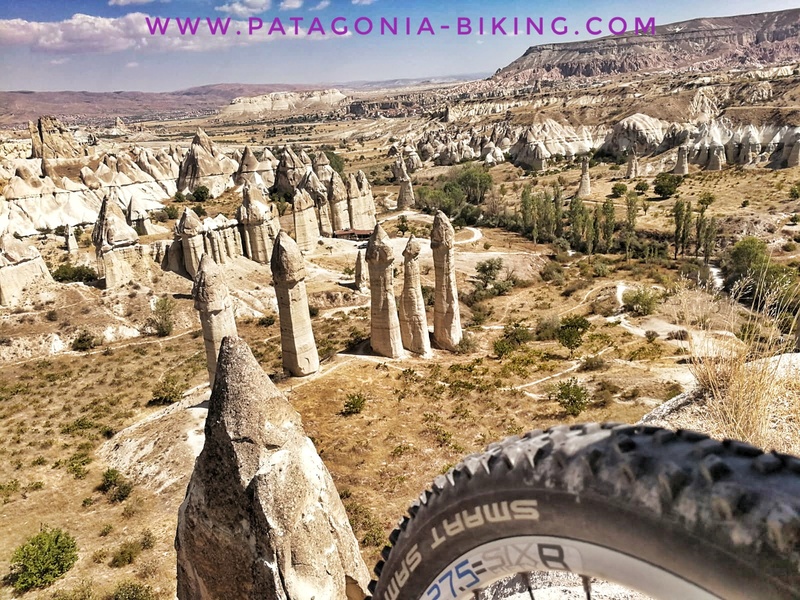 Cappadocia, from the heart’s core to the moon! A trip prepared for a client “old friend”, who flies with her 73 years! Even with the company of Pablo (his nephew) and his friend Bruno. With some pictures I describe my professional experience. 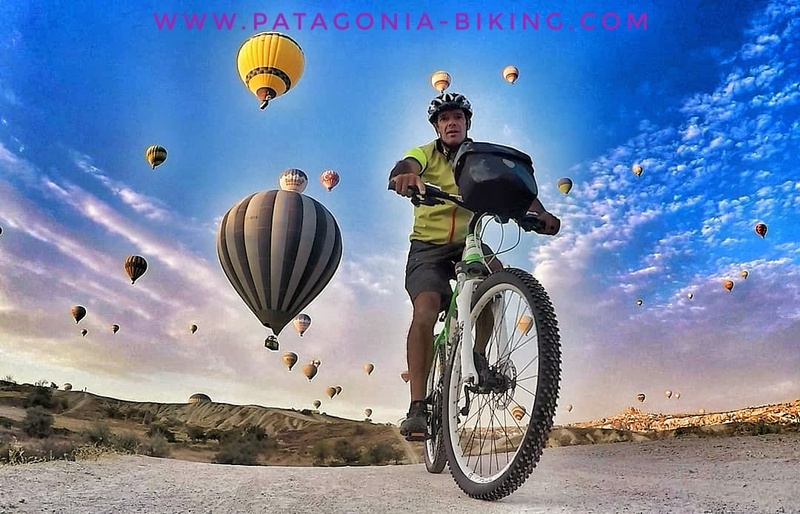 The trips that I organize, as “Patagonia-Biking.com”, always start, with a reconnaissance of the place, that I have done, personally, with my bike (so for more than 20 years). With my wheels, I explore and select the best seats. I discover roads and paths, in the mountains … on the ground and even underground! 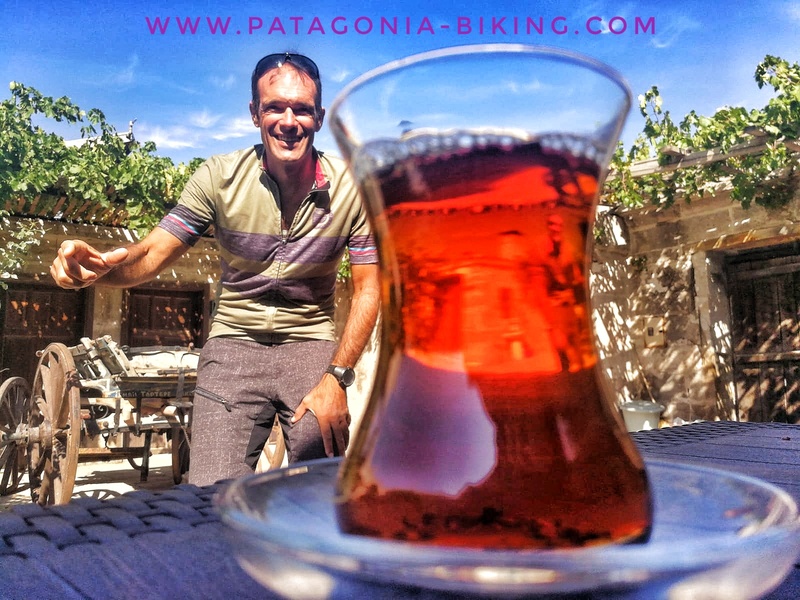 Before starting to pedal a good breakfast where I offer tipical products to my exclusive customer , in a garden with an amazing view. 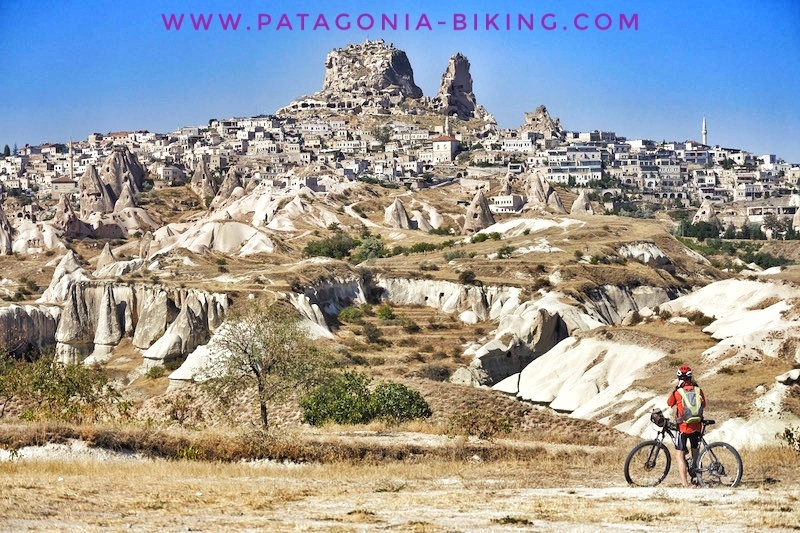 In a day of cycling we can experience spectacular landscapes, learn about cultural riches and meet local people. 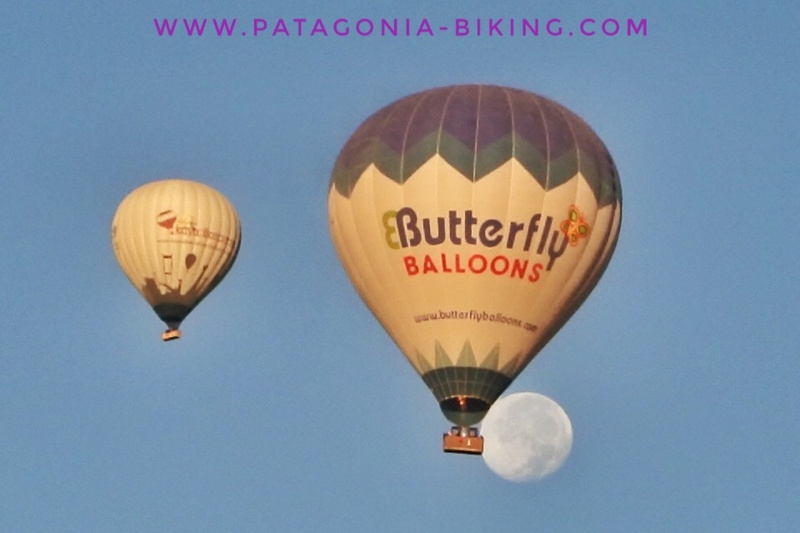 Almost all the stages are special, but some of them are very special … So, I go out to choose a balloon! 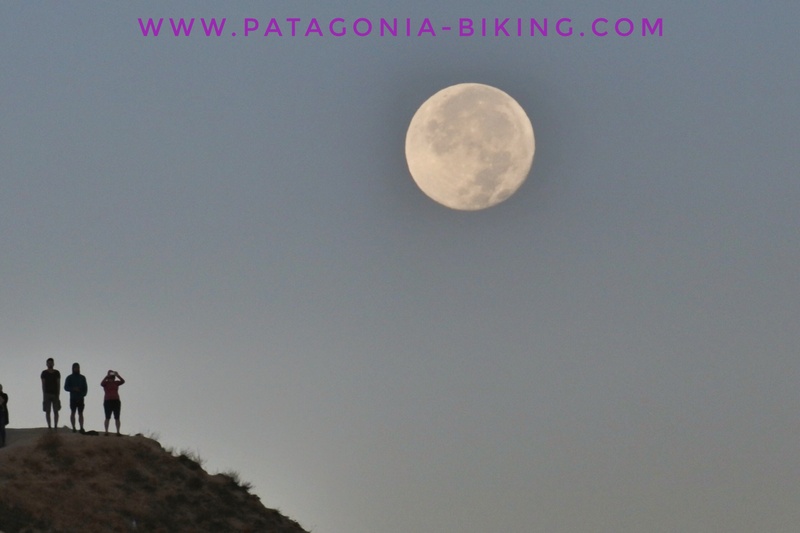 In this way my favorite cyclists can fly to reach the Moon! 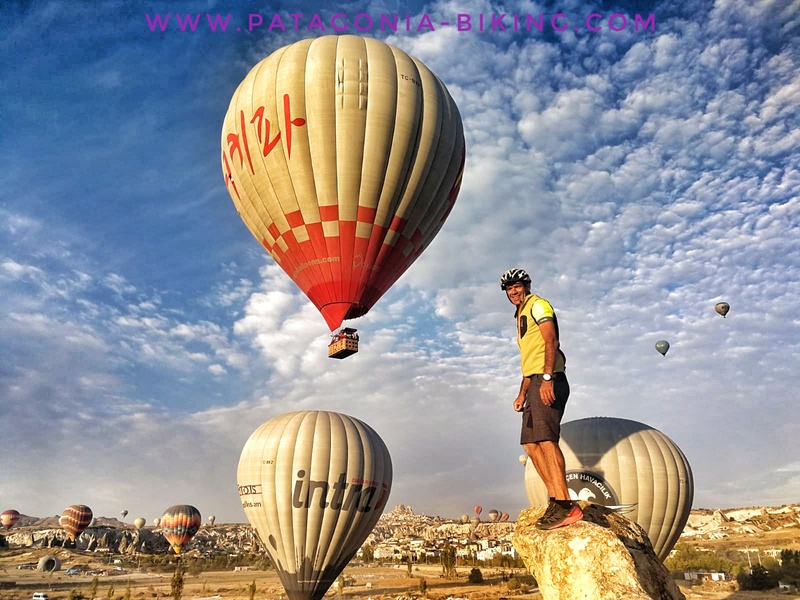 Sometimes the energy and the life charge are so high that you do not need balloons to fly! 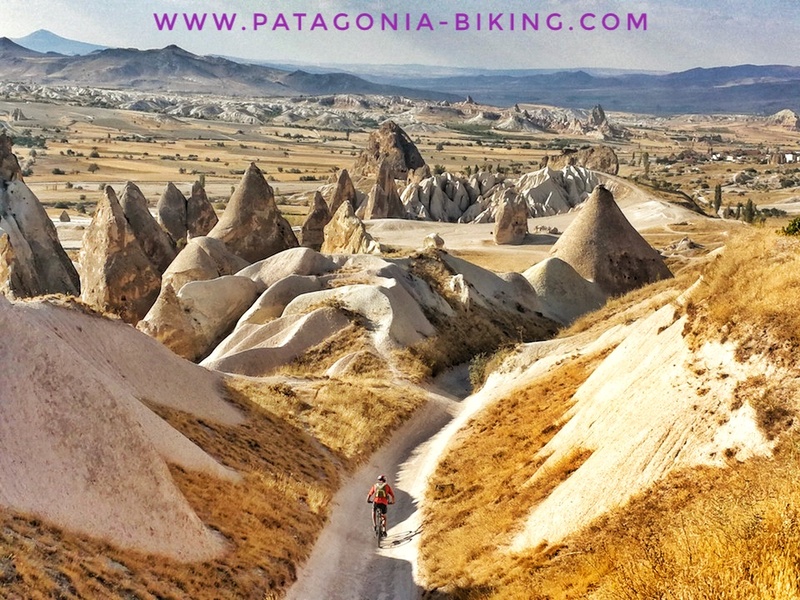 With Patagonia- Biking. I offer travel, down into the sea or up in the sky, that can be tailor-made or organized for a group of people with different levels of difficulty.